The Matchsellers are Warsaw, Indiana native Andrew Morris and Julie Bates of Kansas City, Missouri. Their exciting, gritty, and often hilarious stage show has been developed over four years of relentless touring across the US and Europe. 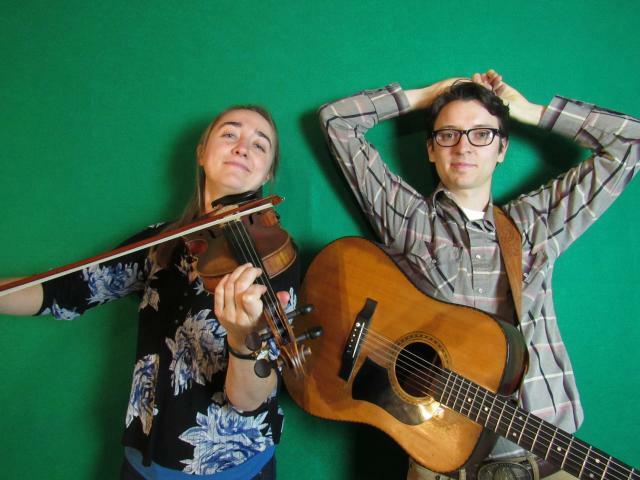 Though deeply rooted in bluegrass and old time tradition, the pair’s respective backgrounds in electric blues guitar and classical violin– as well as a penchant for the absurd– offer a refreshing point of view. They have been featured on various NPR and international radio stations as well as blogs including The Bluegrass Situation, Dying For Bad Music and more. Music at the Museum is a monthly concert series produced by Chris Vallillo featuring the best in contemporary and traditional folk and acoustic music of all styles. Concerts are held the second Thursday of each month at 7:00 p.m. in the Museum auditorium. Tickets are available at the door. For more information on the featured acts and a full series schedule, visit museumconcerts.com.